Remember my post where I wrote "You have internet connection - you have free education!". That's all true! Most of the people are not aware how many people are publishing great content for free. So here it is "Killer YouTube Channels To Learn English". Please remember always follow magic 7 Rules by AJ Hoge to succeed with all kind of materials. Know some other interesting channels? Please share with them in comments below. Share this post with your friends on Facebook. Thanks! https://www.youtube.com/user/tofluency/ - Learn English with ToFluency. 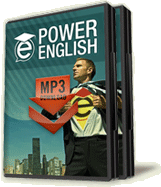 Watch videos that will help you improve your English.